I absolutely cannot believe that it is Thursday already!!! We have a winner in the book giveaway! Stay tuned and make sure you are following along! yep, I'm in the Christmas decorating mode already! Hey friend! I love that you have already started some Christmas decorating! I feel like I need "permission" to start so now that I know you have I'm antsy to head up to the attic and pull out the boxes. :-) LOVE the features this week and we so appreciate you! Courtney, thanks so much for hosting each week! What great features you've showcased! Glad to link up! 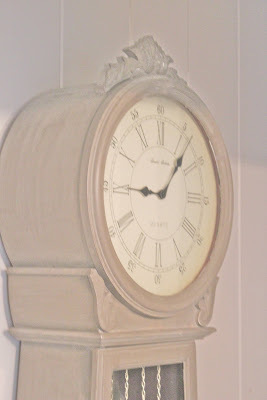 I love, love that clock! You picked the perfect color for it too! 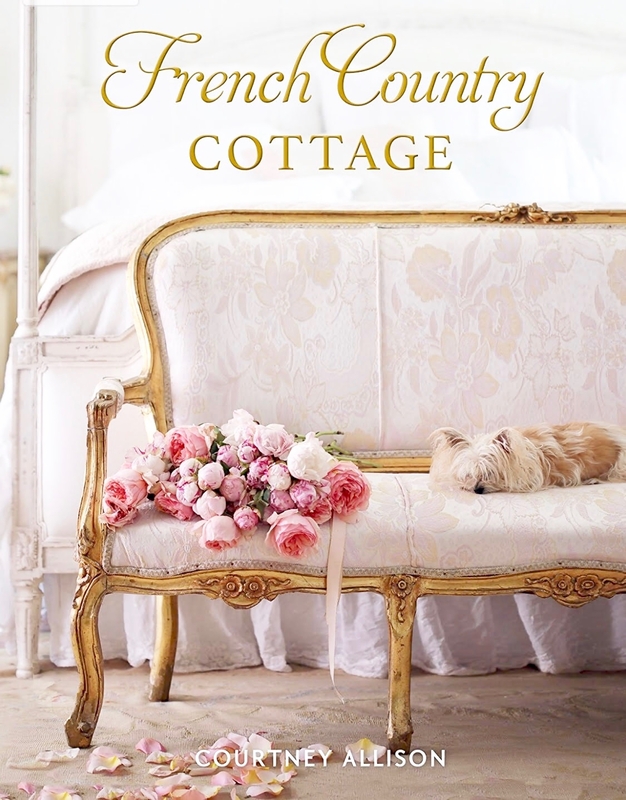 Really a great addition to your French Country Cottage! 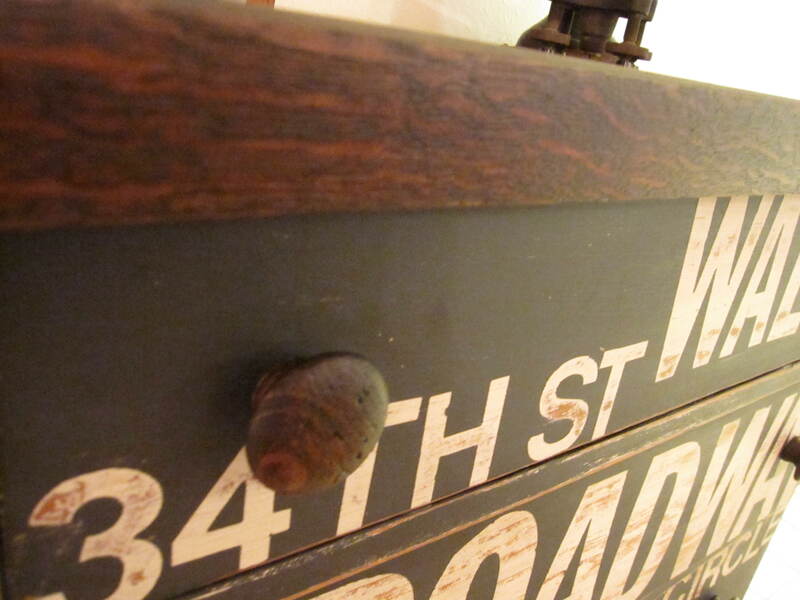 Thanks for having us over and thanks for linking up with Home Sweet Home! Love your new mora style clock! 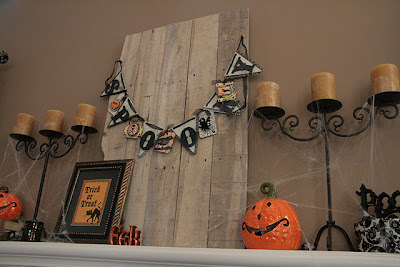 Just wanted to let you know that your linky party is one of my favorites! Your clock turned out gorgeous Courtney!! Thanks for hosting! Thanks for hosting, Courtney. Your clock looks perfect there. Thanks for hosting Courtney. Can't wait to hear about your giveaway. Hi Courtney! Omg, I'm in love with your Swedish clock and oh, the color is fantastic! The clock is beautiful, Courtney! Thanks for being a lovely hostess! Congrats to Chari for winning the book...lucky girl!! Love your clock!! Thank you so much for sharing my Christmas Wreath post! You have just made my week!! I so appreciate the feature! I have posted a few Wintery pins this week. I hope you might be able to pop in soon! Thanks so much for having me. Have a great weekend! Courtney, thanks for hosting this great link party! Your features are always fantastic! 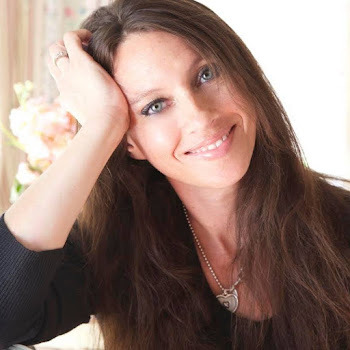 Your blog is lovely and provides such inspiration! Courtney, thanks for hosting and have a great weekend. Thanks so much Courtney! I'm already thinking Christmas too! Hi Courtney, this week went by really fast for me as well. Looking forward to seeing what the giveaway is about! Thanks for hosting. I love your clock transformation. I've dreamed of owning one of these beauties myself:-) Maybe one day. I'm still swooooooning over your Swedish clock! It's always a joy to link up with you, Courtney! I don't post as much anymore, but I do love to join in when I have something to share. ...LOVE your swedish clock too Courtney! and don't get me started about decorating for christmas, i feel like i'm running out of time already! LOL!! New blogger and new follower here! It's my first time linking up. You have a lot of lovely inspiration here ! Thanks for hosting. Such Lovely Inspiration! Thank you for hosting! thank you for hosting this lovely party each week! The clock is quite lovely! That paint rocks! Thanks for hosting. Thanx so much for featuring my vanity! Thank You!!! I'll be linking up tomorrow as it's WAY too late to write a post now... ha - actually, it IS tomorrow! goodnight. thanx again! I really appreciate it! Sorry so late in commenting! Crazy day yesterday. Headed over to see the clock. How did I miss that?! It's gorgeous! Um I am SO in love with your feature of the wreath on the blue door. Totally "sigh-worthy" lol Thanks for hosting sweet friend! Your clock is just beautiful! I love it! Thank you for hosting...the weeks just fly by much too quickly! I still can't believe you found that clock at a wal mart store !! I'm still totally blown away at the transformation of your clock!! Thanks for hosting this. There is SOOO much inspiration to be had among the lovely links that are shared this week. I'm off now to see what I can find. My friend, your Mora clock turned out beautifully! 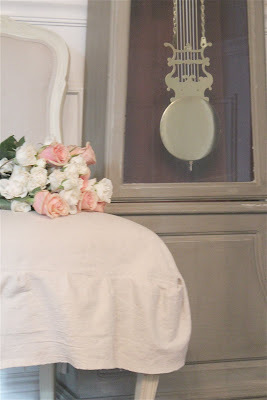 I love the French Linen finish...GORGEOUS! 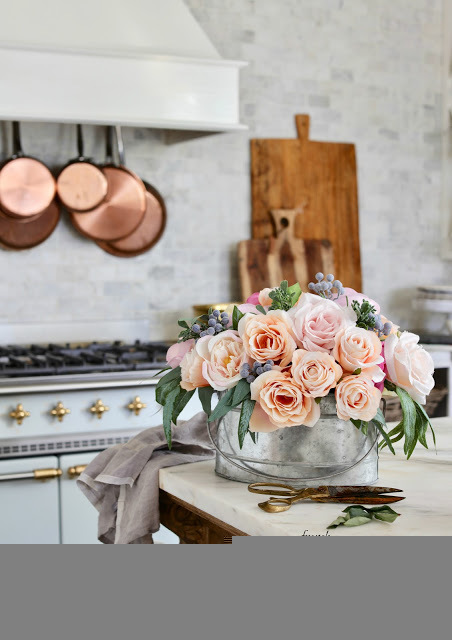 Ohh my...and those beautiful pink and cream roses just look fabulous sitting there pretty on your lovely french chair! 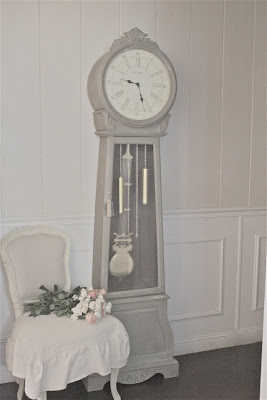 Thank you for sharing your beautiful clock with us...and thank you for hosting another Feathered Nest Friday! I was running a bit late this week but I made it! Hehe! Ohhhh my goodness!!! 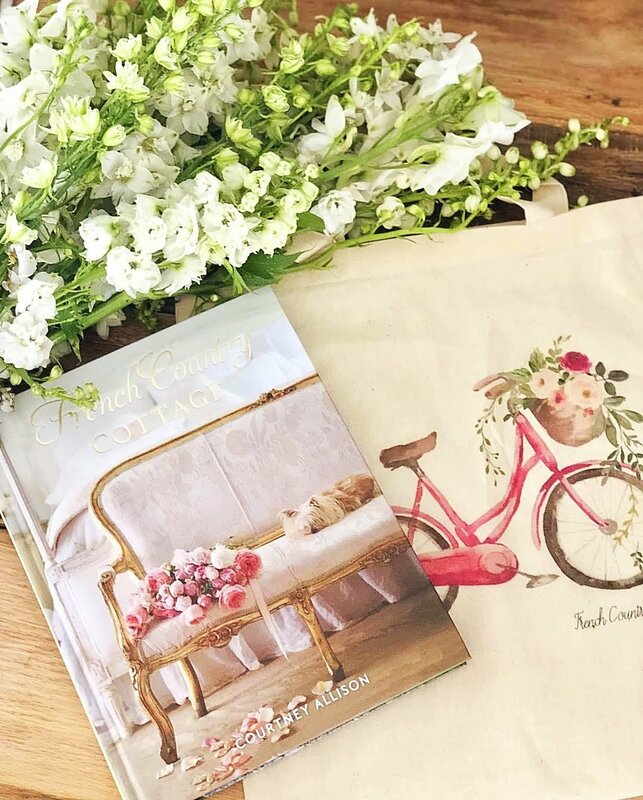 I can't believe that I am the lucky winner of Carolyn Roehm's book! I'm just tickled pink, dear friend! I will really enjoy it! Thank you...thank you...THANK YOU! I'll email you with my address! Have a fabulous Friday, my friend! Thank you so much for hosting. I'm full of admiration over your hard work and brillian eye for the detail--I'm truly looking forward to your posting. Have a wonderful day and blessings always. Hi Courtney! Thanks for hosting another great FNF! Just linked up my thrift store finds! Have a great weekend! Thanks for hosting! That clock turned out amazing :). And I love the roses! We love linking up each week. We are hosting our own party if you wish to join us! Thank you so much for hosting! I'm a new follower from www.littlee.org/blog. I would love a follow back. I really like your blog. You have a lot of creativity! THANKS FOR THE FUN! Please feel free to join my LINKY PARTY! I welcome everyone to share your talent. Just became a follower of your wonderful blog....where have I been under a rock? Your blog is wonderful, great choices on your features this week! Thanks for visiting at WhisperWood Cottage! Such amazing inspiration at this party! Glad to link up!! Your clock looks fabulous! Very impressive! Thanks for the follow over at my site! I am excited to be following you as well! 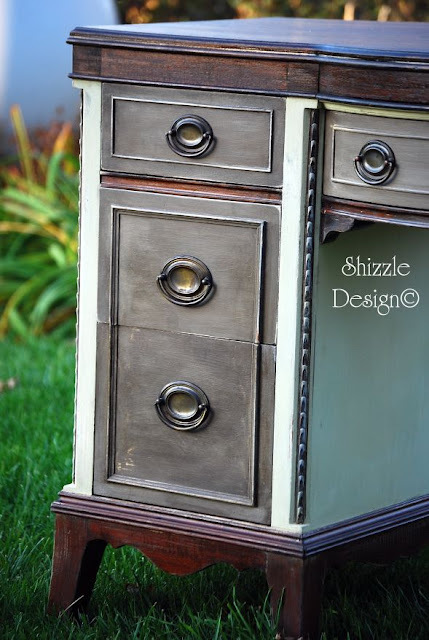 Love your french chalk paint! Wow! Your clock is gorgeous! Thanks for hosting the party. Guess better late than never for me to link up! Have a great weekend! Great features this week as well - just LOVE the Williams-Sonoma knock-off wreath! I actually used this as an inspiration for my own pumpkin wreath this year - which I have added to the party (item #321) for this week! I hope you like it!